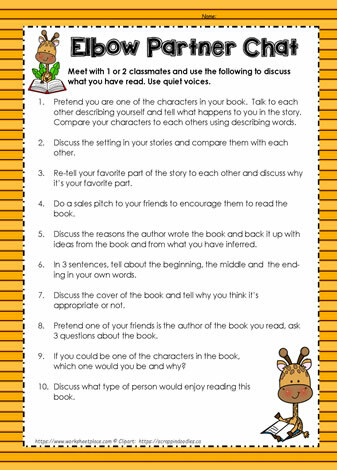 Work with a partner to discuss a passage or a story you have just read. While the teacher is doing guided reading, the students work in pairs or triads to quietly discuss aspects of their books or reading selections. How to keep the rest of the class busy while doing guided reading.